"What a great show! The songs were absolutely brilliant and the script was really easy to edit. Lots of cheesy gags for the children and jokes for the adults too. 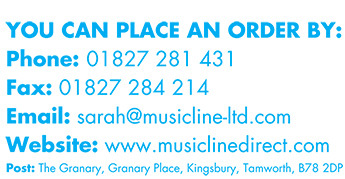 Musicline made the whole process really easy and I have used them for other scripts since." "We have just performed this with amazing reviews. Our cast of 90 pupils absolutely loved it and the humour was appealing to both young and old. Having directed many plays, I am hooked on Craig Hawes' musicals and look forward to seeing what the next musical will be. Each year they just get wittier and more appealing. " "Wow! The students absolutely loved performing this! 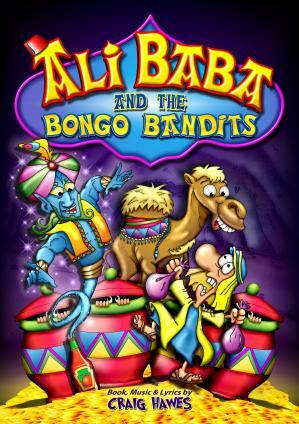 The script is very witty, the songs are catchy... the audience were laughing and crying throughout... Highly recommend this show!" "This show was an incredible experience for both cast and audience. The entire school loved show week and the cast deserved every standing ovation. I have never seen so many potential performers singing and dancing in the school yard after the 1st show. I recommend to any school or youth performing group. Fun script, so many catchy songs and great choreography""
"I still have no idea how Craig Hawes has managed to come up with this, just like all his others it is an amazing play and I recommend it to anyone who wants a funny, enjoyable play." "Excellent, I loved it, especially when I got given the part of Guard Apu. Everyone who saw it was roaring with laughter. " "Amazing play, the parents loved it when they came to watch, there was a part for everyone. The jokes were hilarious and were relatable to everyone! We all loved the play. I was in year 6 at the time, but we performed the play with the year 5's too! We were so pumped up when we found out that we were performing this play, we put the songs on and learnt the lyrics soooo quickly, it was unbelievable!" "Yet another fantastic Craig Hawes musical. This is the fifth one we have produced and they just get better and better. The jokes appeal to all ages and the songs are so catchy. I don't think there is a better writer if school musicals around. I would recommend these musicals to everyone. The backing track cd and dance video help to make such a professional production. " "I was so happy when I found out that We were going to perform it! I soon found out that I had got the part Izzi, a bandit which is defiantly worth trying to get. All of the songs were being sung and even teachers did a bit of singing from time to time! Some teachers performed with us. The crowd roared with laughter after the jokes were told every single time. We have also done many other performances by Craig Hawes. Our school has done performances like Greece so this is up with the greats. I don't know how he does it but we are glad he does ( I think he is a genius genie)." "This is the best production I have ever heard of! This is what we are doing for our leavers production and I am Alakazam. I like the way he's not just a boring old narrator. He's got his own solo. And also he gets to be IN the story as well as narrating it. " "THIS PRODUCTION IS AMAZING!!!!! This production brings a smile to each and every ace out there. It has some really catchy songs. So this musical with bring you joy and happiness. By Megan A student From Oakfield Primary School "
"I was thrilled when I found out we were doing this play for my school year 6 production and soon found out that I had got the princess' solo and was also very happy, so I'd like to thank you for your hard work that has been put into this play. Thankyou so much! From Yasmin"
"An amazing and hilarious production! Year 6 children were singing it all the time in the playgrounds! I definitely recommend it to other schools (I think it's the best production we have ever done! ) Wendy x"
"We couldn't have wished for a funnier script or more magical songs, Craig Hawes must be a Genie-us! We don't know how he does it, but we're so glad he does!" "This spectacular musical has brought the entire school together like never before. The playground is full of children reciting the very funny script, or dancing to the catchy songs they're still singing at the top of their voice! I even find myself singing along when I am alone in the office!" "The hilarious script and toe-tapping tunes had the entire audience on their feet cheering for our Year 6 cast who were buzzing with absolute confidence and pride. From beginning to end, a simply superb show!"